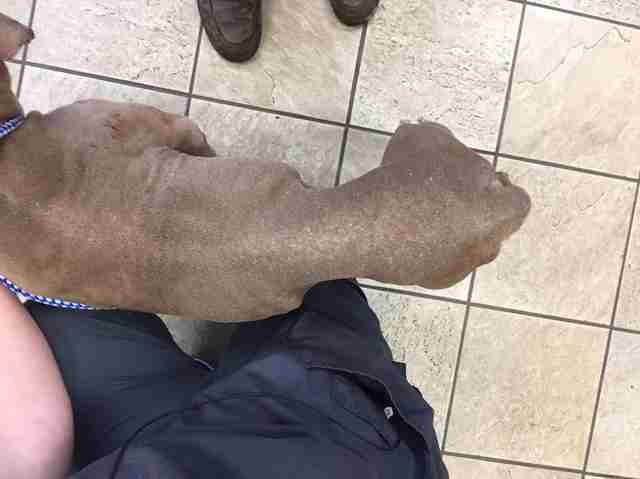 The vet was supposed to euthanize Deebo — at least, that’s what the dog’s owner asked him to do. But Dr. Eric Setzer, owner of Lesslie Animal Hospital in Rock Hill, South Carolina, knew he couldn’t do that. Instead, he decided to save the dog’s life. “We got a phone call that a dog was coming in for euthanasia who had a tumor on his face, and he was only 5 years old, so that got my attention right away because 5-year-old dogs aren’t euthanized very often,” Setzer told The Dodo. 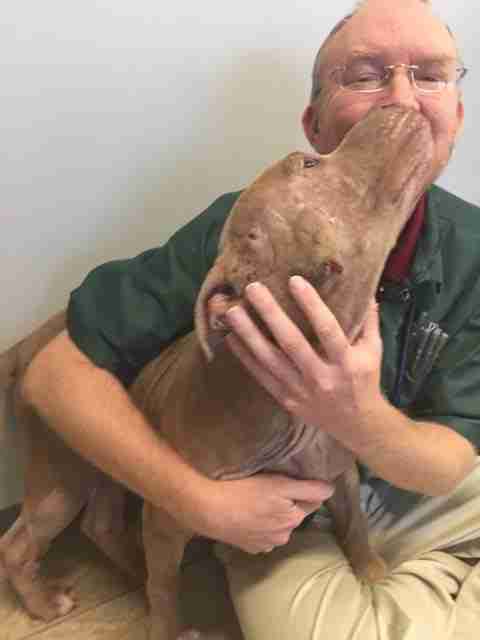 When Deebo came in, Setzer could see that the dog was in bad shape — he was emaciated and had a skin condition and infections in both ears. 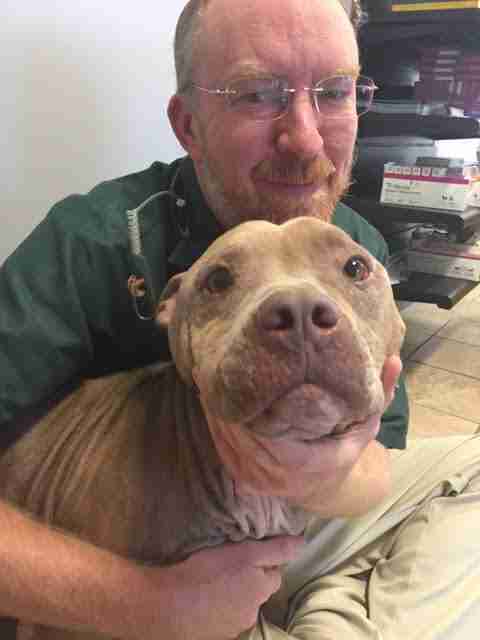 Then there was the issue with his face — it wasn’t a tumor, as the owner had said, but several abscesses. 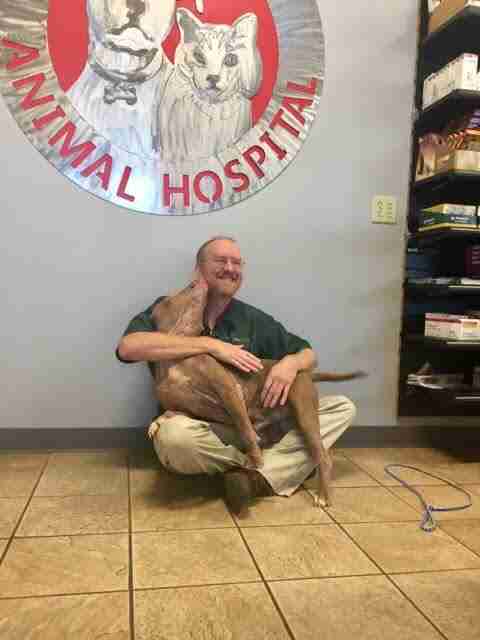 Deebo also turned out to be heartworm positive. But all of Deebo’s health issues were treatable, according to Setzer. After the owner signed Deebo over, Setzer got in touch with volunteers at a local rescue group, Carolina Big Hearts Big Barks Rescue, who agreed to help fundraise to pay for Deebo’s medical bills and help find him a new home. But first, Deebo needed to get better. 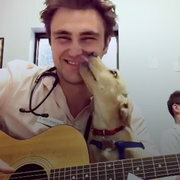 He stayed at the vet hospital for about three weeks, which gave him lots of time to bond with the man who had saved him. Deebo wasn’t the first animal whom Setzer saved from euthanasia. 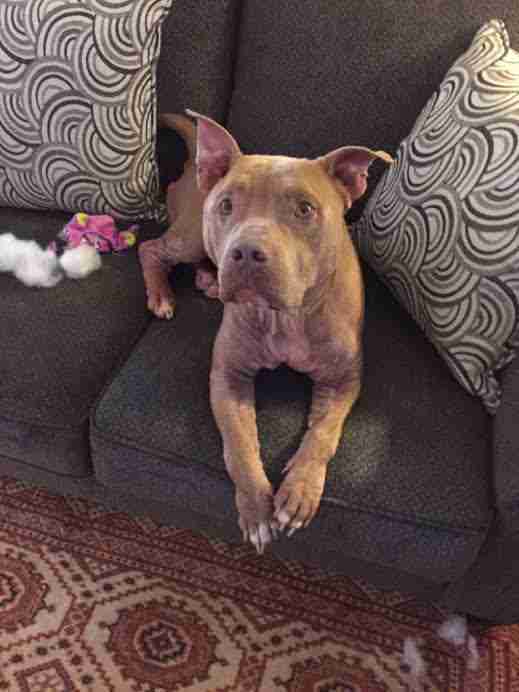 In 2014, Setzer rescued another pit bull mix named Snoop, who is now the Setzers’ family dog. 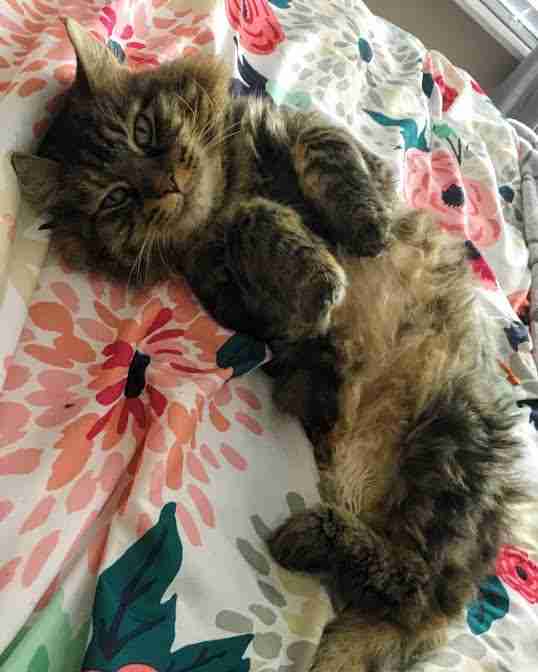 Last year, Setzer also saved a cat named Ollie, whom Carly ended up adopting. While Setzer is always happy to rescue animals, he emphasizes the importance of being a responsible owner. 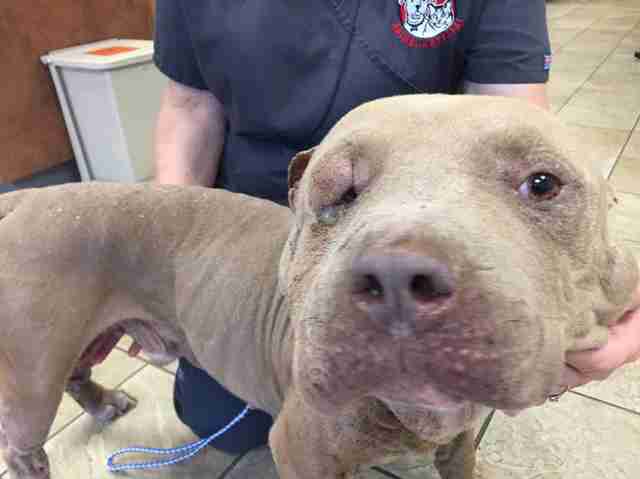 Deebo will remain in foster care for a couple more weeks while he continues to recover. Then he’ll be up for adoption. If you’re interested in giving Deebo the secure and permanent home that he deserves, contact Carolina Big Hearts Big Barks Rescue. 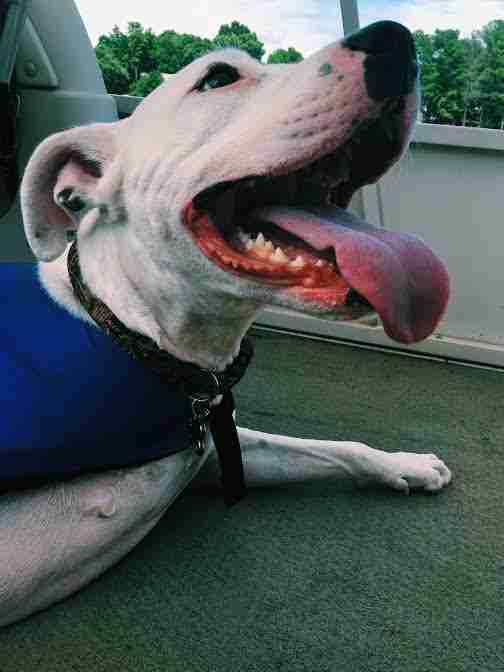 You can also help Deebo make a speedy recovery by making a donation to the rescue group.